A race on the route has been a violent accident this morning, near Drochia, which took the life of a young man. According to the police, the two-car drivers were racing. One of them lost control of the steering wheel while making an overtaking when leaving the city. 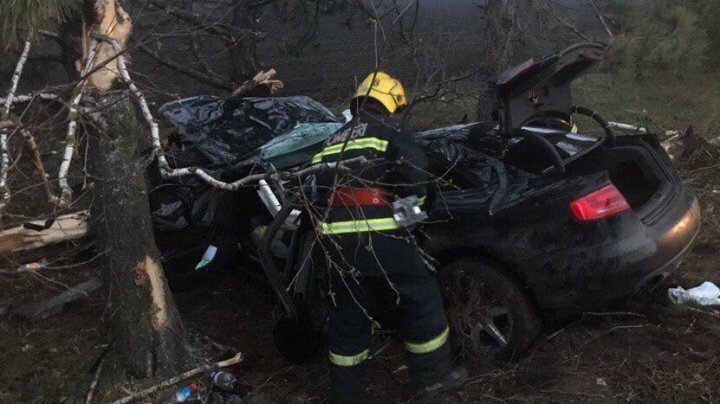 The car skidded off the road and was violently buffed into a tree. The 23 years old young man died in the Drochia hospital after he was diagnosed with cerebral coma. There were two young women in the rugged car. A 24 years old passenger chose the fracture of the calf. The other youngster, aged 15, suffered a fracture of the basin and an arm. The driver of the other car ran off the car without a car. More details are to be established.